University of Nebraska Press, 9780803226234, 208pp. Growing up in middle-class middle America, Sonya Huber viewed health care as did most of her peers: as an inconvenience or not at all. There were braces and cavities, medications and stitches, the family doctor and the local dentist. Finding herself without health insurance after college graduation, she didn’t worry. It was a temporary problem. Thirteen years and twenty-three jobs later, her view of the matter was quite different. Huber’s irreverent and affecting memoir of navigating the nation’s health-care system brings an awful and necessary dose of reality to the political debates and propaganda surrounding health-care reform. “I look like any other upwardly mobile hipster,” Huber says. “I carry a messenger bag, a few master’s degrees, and a toddler raised on organic milk.” What’s not evident, however, is that she is a veteran of Medicaid and WIC, the federal government’s supplemental nutrition program for women, infants, and children. 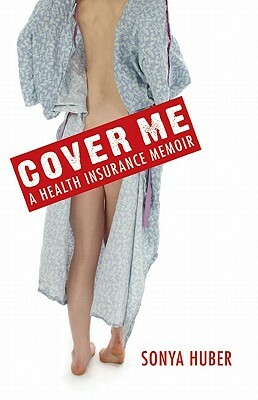 In Cover Me, Huber tells a story that is at once all too familiar and rarely told: of being pushed to the edge by worry; of the adamant belief that better care was out there; of taking one mind-numbing job after another in pursuit of health insurance, only to find herself scrounging through the trash heap of our nation’s health-care system for tips and tricks that might mean the difference between life and death. Sonya Huber teaches creative writing in the low-residency MFA program at Ashland University and at Georgia Southern University. She is the author of Opa Nobody (Nebraska 2008) as well as multiple essays that have appeared in publications such as Fourth Genre, The Chronicle of Higher Education, and the Washington Post Magazine.